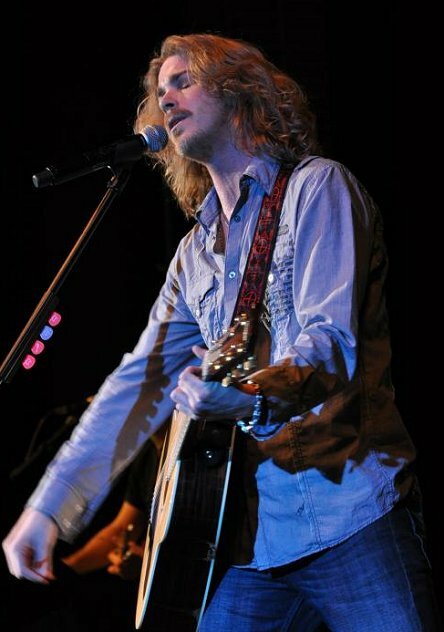 As someone who enjoys a relationship with a warm father who’s always been quick with support and affirmation, it’s a testament to a good song that I can feel an emotional connection to Bucky Covington’s latest single, “A Father’s Love (the Only Way He Knew How)”, which depicts a father with less demonstrative sensibilities than mine. The song’s narrator describes his father’s penchant for showing his love by doing rather than saying. Instead of having a “heart to heart talk” before his son leaves for college, he does some last minute maintenance on the car that will be taking him there. Likewise, rather than telling his son that he likes his first, new home, he immediately pulls out the tool box in order to fix what he can in the house. With a pleasant production that does not shy away from the steel guitar, Covington’s performance is both believable and emotive. Moreover, “A Father’s Love” proves that a song that neatly fits into the mainstream’s typical song structure is also capable of feeling authentic instead of calculated. Furthermore, it is sweet without being overtly cloying thanks to a moral payoff that is employed in such a way that the song does not jump the shark to reach for a manufactured happy ending. I love this new song by Bucky. His voice sounds fantastic! The lyrics are so touching. I think this is a definite hit for Bucky! Great review. In today’s climate, it’s such a nice relief when a song doesn’t yell for your attention. I actually wonder if this is so soft-spoken that it will ultimately be forgettable. But even if it is, it’s still miles above most of Bucky’s singles so far. This song brings the tears of happy memories. i think a lot of people will be able to relate to the content of this song. I personally love it. Love this review of a great song by Bucky. Thanks , Leeann, for articulating what I felt but could not express. Dan, I think Miranda’s latest song is soft-spoken as well and it is doing nicely. Perhaps there is a slight shift in that direction but I am afraid it is too soon to claim it as permanent for country radio. Very nice review Leeanne, thank you. Love this song. I will say that it is going to be top 10 hit. Thanks for the kind review. Bucky’s new single is a sweet song and he does a good job with the vocals. I love the tone of Bucky’s voice on this song. This one will be number 1, because so many people can relate. This is another predictable country lyric wrapped in an average melody, typical of the “New Nashville” sound. Average, at best vocals and one more reason sales are so horrible in this market. Hopefully talent will someday be the primary drive behind the decision to sign an “Artist” and not the failed attempt to win a Talent Contest the only requirement. Possibly there will then be a revival of sales and excitement in the business before it collapses totally. ok! i think the song is great! simple can be good…bucky is indeed the real deal. & to “peternorth”, are you a songwriter? b/c ive NEVER heard of you and youre attitude is really really nasty.